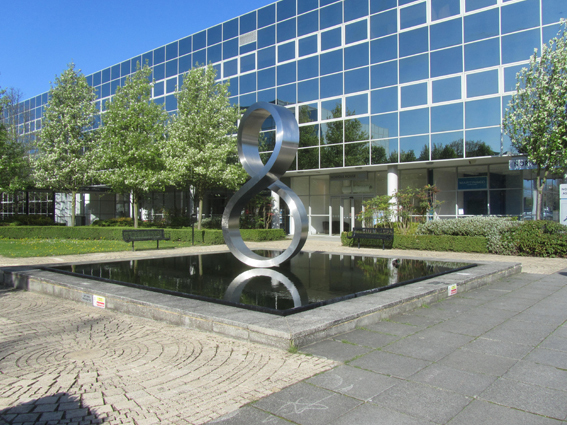 The modern heritage of Milton Keynes is unique, it’s what makes us so special, which is why it is worth protecting. We already have four buildings and two sculptures Listed Grade II. The first was thecentre:mk, which was listed in 2010, over ten years since the Forum had first made an initial request. Other buildings have followed – the housing on Silver Street, Stony Stratford at the back of Cofferidge Close was listed due to the threat of redevelopment in 2012 (listing was declined for the office building and shops because it was felt to have been altered too greatly) and the CMK Bus Station and Library followed in 2014 and 2015 respectively as a result of nationwide reassessments of these particular categories of building. Two sculptures (MS Series no 1 by Bernard Schottlander and Wendy Taylor’s Octo) were both listed in January 2016 as a result of a national assessment of post-war sculpture by Historic England. Octo was a particular triumph for the Forum - we put it forward and then conducted a successful appeal after after our initial request was rejected. However, this is just the beginning. The Council has committed itself to preparing a “Local Heritage Register” as part of its Core Strategy – these are buildings that, whilst they are not felt to be of listable quality, are worthy of note due to their importance to the city. We aim to play a key part in this as events proceed. The Forum's submission is here. Please contact us vis the Contact page if there any buildings that you feel should be recognised.